What's more, Midtown and the Upper East Side are easily accessible by foot and the 4, 5, and 6 subway lines give you easy access to Lower Manhattan and Brooklyn. There are a variety of Carnegie Hill Apartments in this well-preserved, historic neighborhood. Along Park Avenue and Fifth Avenue, there are rows of Italianate apartment buildings with four-star doormen luxury, while down tree-lined side streets are brownstones with stoops and turn of the century townhouses. Some highly sought after Carnegie Hill apartments are 'classic sixes or 'classic sevens,' which refers to the type of floorplan found in New York buildings before 1940. There are also a handful of 19th-century mansions, but very few are privately owned and instead are used to house the various museums and schools in the neighborhood. Over the following decades, the avenues spreading away from the park became lined with apartment blocks, hotels, and shops. In 1959 Frank Lloyd Wright built 'The Guggenheim Museum' in the neighborhood. Much criticized at the time it is now considered one of the most iconic buildings in Manhattan. It forms part of what is known as Museum Mile, which stretches down Fifth Avenue and passes through the neighborhood. 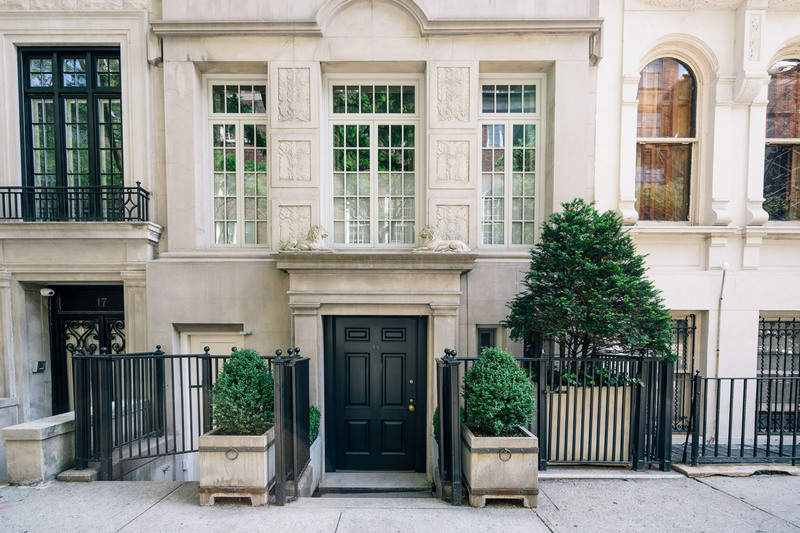 In 1974, the Landmarks Preservation Commission created the Carnegie Hill Historic District, which helps maintain the neighborhood's distinctive character. The neighborhood has many renowned cultural institutions within its borders. 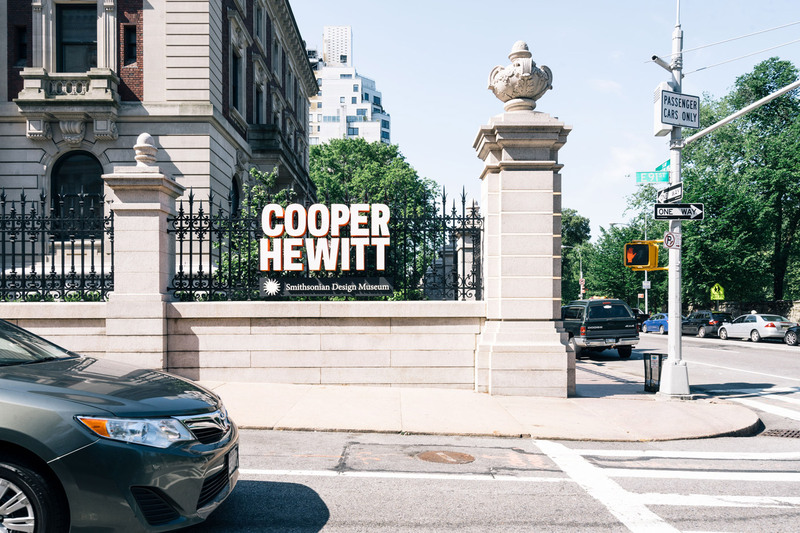 Housed in the old Andrew Carnegie mansion, The Cooper Hewitt Smithsonian Design Museum aims to educate, inspire and empower people through design. It has four floors of galleries dedicated to all disciplines with many interactive exhibitions as well as workshops to enhance people's understanding of the design process. At The Solomon R. Guggenheim Museum visitors can experience exhibitions by major modern and contemporary artists in a distinctive space marked by its spiral staircase. The museum also offers tours, classes and film screenings during the year. Early twentieth century Austrian and German art and design is the theme of the Neu Galerie, where works by fine artists like Gustav Klimt, Paul Klee, Otto Dix and Egon Schiele mix with that of decorative artists and architects. The museum is in a landmark building created by the same architects who built the New York Library. Founded in 1904, The Jewish Museum was the first institution of its kind in the United States. It maintains a unique collection of nearly 30,000 works of art, ceremonial objects, and media reflecting the Jewish culture over 4,000 years. 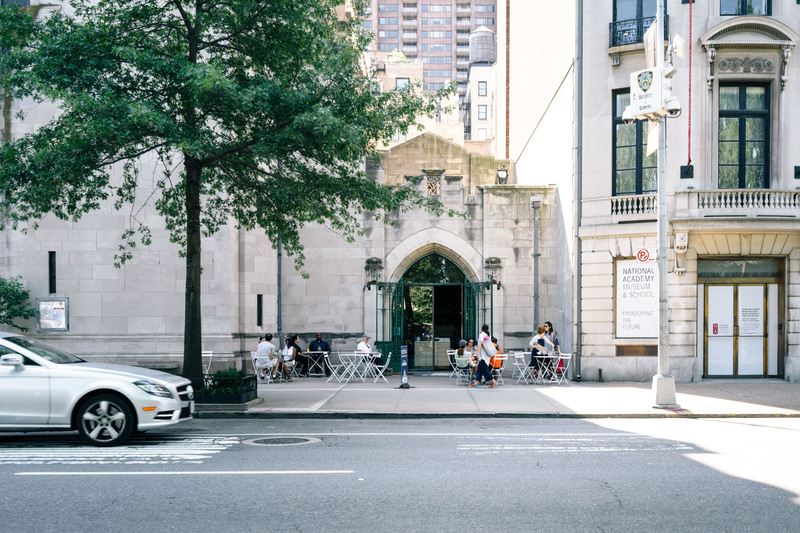 Starting life as the Young Men's Hebrew Association, the 92nd Street Y has grown into a world-class cultural and community center devoted to connecting people through arts, entertainment, and conversation. In addition to presenting performing arts programs, it offers a series of talks and readings from some of the world's most brilliant artists and thinkers. With over 12,000 titles, Kitchen Arts and Letters is the leading specialty food and drink bookstore in the city. Julia Child and James Beard were early customers and ever since their opening in 1983 they've attracted people who are serious about food. Today their customers include Michelin starred chefs from around the world as well as neighborhood home cooks. The Corner Bookstore has satisfied the literary desires of the neighborhood for over three decades. Their carefully curated selection of fiction and non-fiction titles ensures that they bring only the best of the best to their customers. Owned by the former actor Phoebe Cates, Blue Tree is a boutique known for its eclectic and inspired selection of women's clothing and jewelry. It also carries unique and carefully chosen items such as vintage LPs, antiques, and fragrances. Lastly, the long-running S Feldman Housewares is something of a neighborhood institution. Founded in 1929 it has remained a family-owned business for four generations and boasts of having over 12,000 items for sale, from Le Creuset pans to vacuum cleaners. 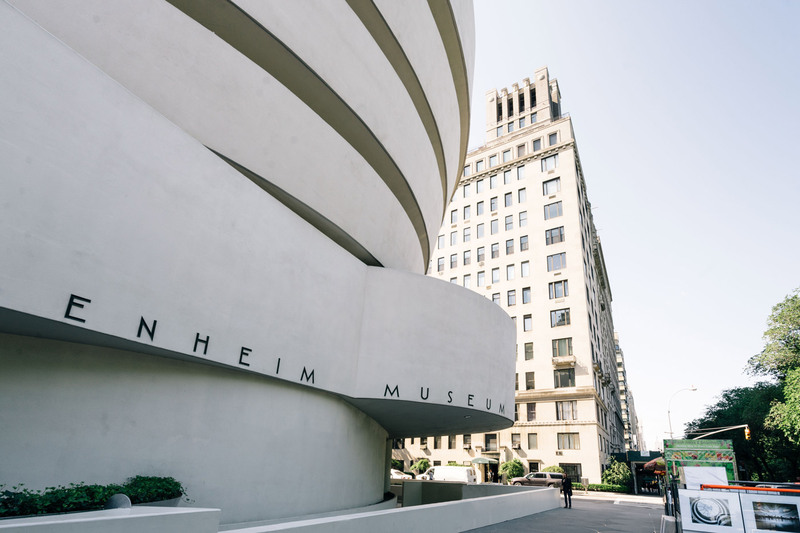 When you visit the Guggenheim don't forget to enjoy lunch at The Wright, a modern daytime café that has won awards for its interior design and praise for its New American bistro food, which emphasizes seasonal, local and sustainable ingredients. A perennial favorite of the neighborhood, Paola's serves authentic Italian cuisine including the classic dishes of Rome from where the owner and executive Chef Paola Bottero emigrated. By contrast, Pascalou packs many different cuisines into its tiny split-level space. Though specializing in French food, it also does Italian dishes like Chicken Milanese and a Thai-style vegetable stir fry. Lastly, Sarabeth's East is known for its weekend brunch served with specialty drinks like Four Flowers Mimosa and Pickled House Bloody Mary. Along with breakfast and lunch, this location also serves dinner. You can enjoy a taste of South Africa at the Kaia Wine Bar which serves a range of craft beers and wines from that country, accompanied by a variety of farm-to-table small plates. Residents who become members of the Guggenheim can have their very own night at the museum, courtesy of the Art after Dark series. Once the general public has left for the day, guests can enjoy seasonal events in the museum's landmark building including private viewings of current exhibitions. Finally, Eli's Essentials and Wine Bar is the Carnegie Hill branch of Eli Zabar's delicatessens. It offers a carefully selected wine list from Zabar's cellars, with over 20 vintages available by the glass every evening.